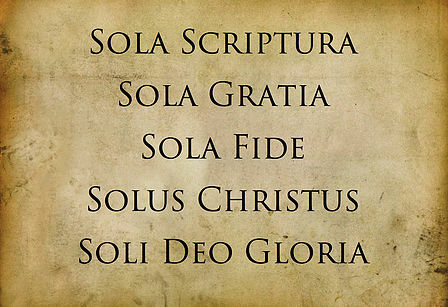 Readers can apply the five Reformation “solas” to a biblical reformation of Christian fiction. 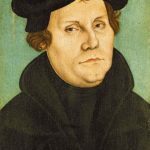 This Tuesday, Oct. 31, marks a holiday that strikes fear into the hearts of some Christians and has proved controversial for now exactly 500 years: Reformation Day. We’ll now conclude with the final 20 theses, which apply not to the makers of these stories but first to the readers of these stories (to whom the makers can only respond). Part 4: How Christians can reform Christian-made stories. Christian stories ought not imply that any morality, culture, or action contradicts sola gratia, or salvation through grace alone. This is vital, in a Church and a world that are constantly tempted to presume our salvation or growth in holiness depends on us. 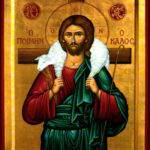 Christian stories must exalt Solus Christus, Jesus Christ, by name, fantasy-world symbol or supposal, or simply by portraying His truth, beauty, and goodness with excellence. We must enjoy Christian stories soli Deo gloria, for the glory of God alone. This means we fight to enjoy them when they’re not so great, and delight in enjoying them when clearly the stories’ creators have striven to honor the Creator in styles and themes. In any case, we laugh and/or repent for our failings, and thank God for our successes. We must maintain a high and biblical view of the capital-C church (all of Jesus’s people, wherever they are), and the lowercase-C local church we call home. In other words, we cannot skip over our churches’ key role in the world, including our creative works. When Christian stories (or their authors) seem to clash with these solas, we must be careful to discern minor faults from major ones. We must also be careful to avoid acting like the author’s or publisher’s local church—e.g. the only institution Jesus has set up to help anyone grow in a faith community that offers membership and belief standards. What about the continued presence of bad Christian fiction, some of which is marketed with nonfiction labels? Let’s graciously yet firmly critique it based solely on Scripture. But let’s mainly decrease the natural market for it, simply by living and becoming the next generation that declines to enable this kind of soft-soap “inspirational” religion. However, let’s avoid a kind of iconoclasm, or smashing to bits the things we view as sinful relics of badly made Christian fiction. This means that if existing Christian fiction infrastructures fail (bookstores, publishers, and so on), we don’t celebrate. We also avoid any kind of scorched-earth policy in our thinking, our rhetoric, and especially the ways we treat Christians who support or defend poorly made fiction for shallow reasons (e.g., it’s “inspirational” or “clean”). After all, Jesus doesn’t nuke people and things He loves from orbit and start over. He redeems and even reforms His creations. To that end, let’s reform some specific Christian-made creative concepts that were just executed badly before. For example, Christian t-shirts. We’ve all seen bad ones. But this one is a great one, and we need to create and wear (non-ironically) designs like this one. Let’s critique and gradually withdraw market support for Christian novels that obscure the Gospel even while attempting pseudo-“evangelism” on readers who will never actually read the book. But let’s preserve the heart of this goal of much Christian fiction: to share Jesus with the reader. We do need “explicit content” Christian works! Push the frontiers. We can find freedom, not restriction, by going deeper into explicitly biblical views and overtly Christian content. In turn, we’ll grow to expect bigger themes, complex characters, and a robust vision of excellence for the stories we want to see. Remember that for the present, our abilities are limited by sin and our groaning creation (Romans 8). But we have biblical cause to expect that even our sin-marred attempts at glorifying God today will have eternal rewards. Both our overtly “spiritual” acts, and our delight in creative works, can help point ourselves and other people toward our Creator. 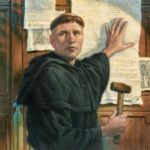 Finally, we recall that it’s His sake alone that we ever try to “reform” anything, whether it’s the faith altogether or the fiction made by our brothers and sisters in the faith.